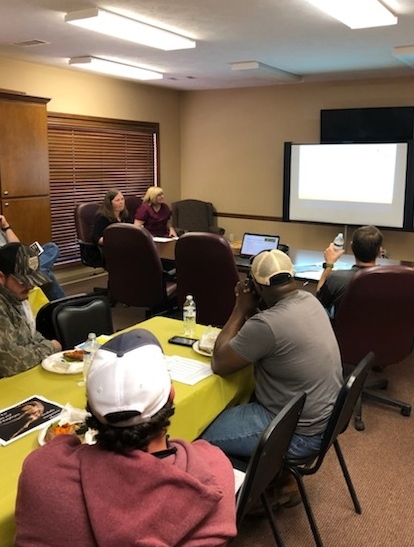 Central Water Association employees recently heard a presentation from Mandy Cumberland, Wellness Works coordinator for Neshoba County General Hospital, on the benefits of healthy eating and exercise. 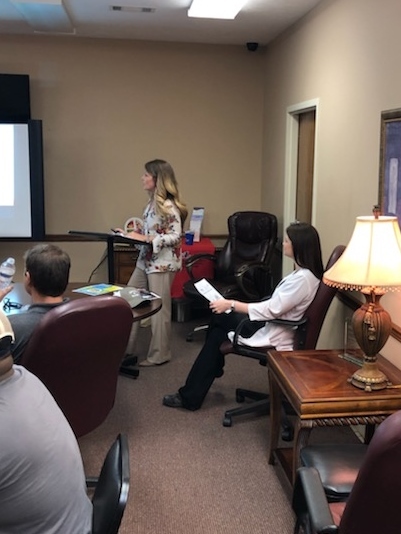 Sherry Harris, director of therapy at Neshoba Outpatient Therapy, also discussed back tips, stretching exercises and healthcare for employees. Family nurse practitioner Shelley Darby answered health questions. Employees also enjoyed a healthy low-calorie meal catered by Carson and Linda Waltman. The Workplace Wellness program integrates injury prevention, injury intervention, service coordination and wellness programs designed to reduce a company's total medical costs and valuable lost workdays.